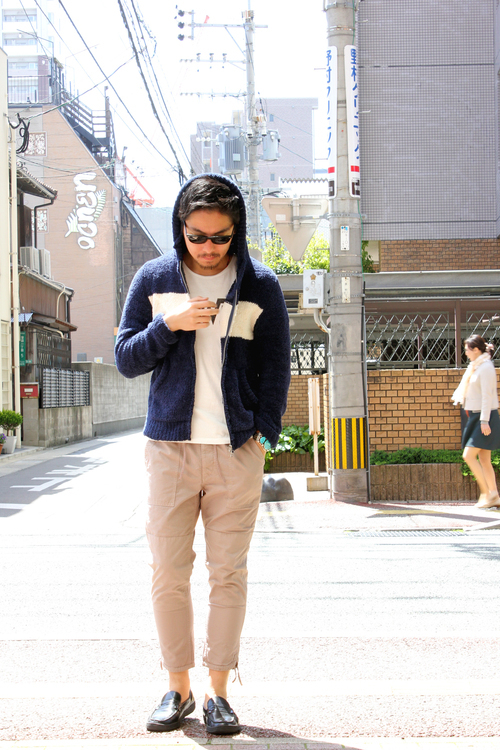 Tops : [ PIG&ROOSTER ] HUMUHUMU KNIT PARKA -NAVY- new!! Tee : [ PIG&ROOSTER ] TOWN -T -WHITE- new!! Pants : [ PIG&ROOSTER ] OLUOLU EASY PANTS -GRAY- new! !